Shirley Harris was born and raised in Manila, the Philippines. Her father, William White Harris, was a champion swimmer and won the bronze medal in the 100-meter freestyle at the Olympic Games held in Antwerp in 1920. In her childhood he travelled the world as a goodwill ambassador. When she was fifteen years old she went to live with her mother in Australia. Soon afterwards, her grandfather was captured by the Japanese Army and sent to the Santa Tomas Internment Camp, where he later died. In 1943 Shirley joined her father in Hawaii. Soon afterwards she met and married Air Force pilot Mark Martin. Over the next few years she gave birth to three children: Victoria, Teresa and Steven. The family moved to Hominy, Oklahoma, in 1960, where Mark Martin managed a large wheat-storage facility. Shirley Martin and her oldest daughter, Victoria, were active supporters of John F. Kennedy in the 1960 Presidential Election. They established a small Democratic headquarters in Hominy but had to drive to Tulsa for supplies, such as campaign buttons and stickers. It was a conservative part of the United States and Martin later commented: "We were not popular as the Baptist churches in Hominy were noisily anti-Kennedy." When Kennedy was assassinated on 22nd November, 1963, Shirley Martin immediately became suspicious that he was a victim of a conspiracy. This feeling was increased when Lee Harvey Oswald was murdered by Jack Ruby. She began collecting newspaper articles on the death of Kennedy. This included an article by Mark Lane in the National Guardian that appeared on 19th December, 1963. Martin wrote to Lane and offered to help him with his research. She also sent a copy of the article to Marguerite Oswald. Shirley Martin read one article that claimed Jean Hill and her friend, Mary Moorman, who were taking photographs of the motorcade, thought the shots had come from behind them on the grassy knoll. Martin telephoned Hill on 25th January, 1964. She told Martin that as soon as the firing stopped they ran towards the wooden fence in an attempt to find the gunman. However, they were detained by two secret service men. After searching the two women they confiscated the picture of the assassination. Hill told Martin that she was very scared as another witness, Warren Reynolds, had been shot in the head by an unknown assailant, the night before: "Mrs Hill told me that she and Miss Moorman had received many threatening phone calls urging them to keep quiet and when they reported these to the Dallas police, they received an official brush-off. Mrs. Hill said Miss Moorman would not talk to me as she was much more frightened and upset over the whole thing than Mrs. Hill was." Martin also contacted Marguerite Oswald. She sent her Lane's article that had appeared in the National Guardian and then telephoned her about her son. "We were both excited. Here was Richard Coeur de Lion riding to the rescue in the form of a stout-hearted New York lawyer." Martin put Lane in contact with Marguerite who asked him to represent her dead son before the Warren Commission. Lane later recalled: "That I was interested was obvious. Yet there were problems which appeared insurmountable." This included the fact that Lane's sole corporate client had disapproved of his article on the assassination of John F. Kennedy. "Any future similar activity would result in the reluctant, but certain, termination of my services." On 27th January 1964, Harold Feldman had his article Oswald and the FBI published in The Nation. 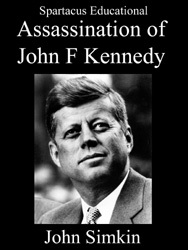 Feldman started the article with the following words: "The Warren Commission should, if possible, tell us how President Kennedy was killed, who killed him, and why. But beyond that, it must tell us if the FBI or any other government intelligence agency was in any way connected with the alleged assassin, Lee Harvey Oswald. At this moment, the possibility of such associations in the young man’s life is intolerably a subject for speculation." Feldman then went on to discuss the information reported by Joseph C. Goulden and Alonzo (Lonnie) Hudkins. 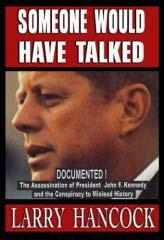 Feldman argued: "Was the alleged assassin of President Kennedy employed by the FBI? We have seen a news report that the agency tried to recruit him and that it has refused to say whether he accepted the offer. At present, all we know is that his history, as we have been able to piece it together, is not inconsistent with such employment. Indeed, his financial record seems entirely unexplainable unless we make some such hypothesis." Martin contacted Feldman and offered to help him interview the witnesses to the assassination of John F. Kennedy and J. D. Tippit. In February 1964, Shirley Martin and her daughter Victoria made their first visit to Dallas in order to interview witnesses. This included Ruth Paine who allowed them to look around her home and showed them the place in the garage where the alleged assassination rifle was supposedly stored. Ruth told the Martins that she was convinced that Lee Harvey Oswald killed Kennedy. Michael Paine arrived while they were there and seemed very uncomfortable about the women being in his home. Paine immediately notified the FBI of the Martin's visit. On 29th February, 1964, Ruth Paine was interviewed by James P. Hosty. His report stated: "Mrs. Martin stated she felt the evidence was not fully incriminating as far as Lee Harvey Oswald was concerned and she wanted to satisfy herself as to the facts. She indicated she had spent most of her time in Dallas retracing the route of Oswald following the shooting of President Kennedy and had timed the alleged escape route of Oswald following the shooting. Mrs. Martin stated she did not believe the gun photographed at the police department was the same gun which was being held by Oswald in a picture released to the press later. She referred to a photograph taken sometime prior to the assassination showing Oswald holding a rifle. Since the date of her contact with Mrs. Paine, Mrs. Martin has called on the telephone from her home in Hominy, Oklahoma, many times and has written almost daily letters to Mrs. Paine all along the same line, looking for inconsistencies in the case and seeking to find out why Oswald shot President Kennedy if such was the case." In a subsequent memo J. Edgar Hoover, citing Paine as a source, claimed that Martin was a "bright nut" and a "possible mental case". On 1st April 1964, Marguerite Oswald announced that Mark Lane was no longer representing the interests of her murdered son. Shirley Martin wrote to Lane explaining the situation: "She is very angry with you... My opinion is that this reaction is piqued by female vanity. Perhaps Mrs. Oswald in her terrible loneliness after the assassination (and the shock was terrible) may have formed a small attachment for you (as a patient can for his analyst); the realization that you couldn't giver her much of your time (nor wanted to) may have brought on this reaction." Harold Feldman decided to take up Martin's offer and in June 1964, along with his brother-in-law, Vincent J. Salandria , they went to Dallas to visit Helen Markham, the only witness who saw the actual shooting of J. D. Tippit. She refused to talk to them and she reported the visit to the FBI. According to their report on 24th July: "She (Markham) stated she was frightened and did not desire to talk with Mrs. Oswald and the two alleged reporters since she regarded Mrs. Oswald as a mean appearing person." They also visited the home of Ruth Paine. Her husband, Michael Paine made comments that suggested he had been informed about the background of Salandria: "Why are you working on the assassination? Why don't you stick to your work in civil liberties and civil rights?" Salandria later told Sylvia Meagher: "Michael Paine advised us under questioning of a cross-examination nature, that Oswald was serving as a spy in right-wing organizations." Based on their discussions, Salandria concluded that Paine knew Lee Harvey Oswald much better than his Warren Commission testimony suggested. While they were visiting Dealey Plaza they were approached by a man who made it clear that he knew who they were. Salandria commented that this was probably connected to the comments made by Michael Paine: "The only plausible explanation was that the killers were advertising to me that my efforts to maintain a low profile in the case were unsuccessful. They were also telling me that I could no longer trust my most loving friends. They were instructing me that I could no longer trust my most loving friends. They were instructing me that I was being watched by the agents of the killers. They were advising me that I had a safe haven, if I gave up the assassination work and continued in my American Civil Liberties Union work... they were transparently advertising to me that they had great power, and that I had none." Shirley Martin also interviewed Acquilla Clemons who had also seen the events around the killing of J. D. Tippit. 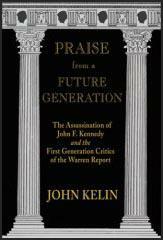 As John Kelin , the author of Praise from a Future Generation (2007), has pointed out: "As Shirley Martin, accompanied by her children, interviewed Acquilla Clemons. Mrs. Martin was not at all confident that she would be granted the interview, so her daughter Vickie carried a tape recorder hidden in her purse. Vickie later transcribed the surreptitious recording of their conversation with Mrs. Clemons, and the tape was passed on to Mark Lane. As they prepared for the interview, the Martins did not yet know that, like Helen Markham, Acquilla Clemons had been visited by menacing authorities who advised her not to talk about what she had seen." At first Clemons refused to answer questions but eventually confirmed that two men were involved in the killing. On the way back they visited Marguerite Oswald, who was living in Fort Worth. It was noted that she seemed to be living in improved circumstances. Vincent J. Salandria reported: "Shirley Martin told me that Marguerite had received money from good people who were interested in her welfare". Martin later commented: "If Marguerite was bought off because she needed money, she did it deliberately, and used the money, and didn't change her thinking one iota." David Welsh of Ramparts, published an article about Kennedy assassination researchers in November, 1966. It included this passage about the work of Shirley Martin: "If many will treat these amateur investigators as some unique breed of kook, the Dallas police take them seriously. When Shirley Martin, a housewife from Hominy, Oklahoma, made trips to Dallas to interview witnesses, the police would tail her, openly following her car at short distance, and stay in her shadow until she left town." In late 1966 Shirley Martin was approached by two journalists, Lawrence Schiller and Richard Warren Lewis, who were writing an article about the critics of the Warren Commission. The article was published by the New York World Journal Tribune on 22nd January, 1967. It was followed by a book, The Scavengers and Critics of the Warren Report (1967) and a record album, The Controversy (1967). Schiller and Lewis used all three to attack the credibility of critics such as Shirley Martin, Penn Jones, Harold Weisberg , Ray Marcus , Vincent J. Salandria , Mark Lane , Maggie Field and Sylvia Meagher. Martin was described as an "amateur detective with a passion for Agatha Christie mysteries" whereas Penn Jones was dismissed as a "drawling backwoods prophet" and falsely as an alcoholic who carried a "pint of bourbon in his hip pocket". The most savage attack was on Lane: "His wily showmanship helped sway millions of converts. But there were still millions more who realized that Rush to Judgment really belonged on top of the fiction best-seller lists." Martin continued to work closely with Mark Lane, Harold Weisberg, Ray Marcus , Vincent J. Salandria , Penn Jones, Maggie Field and Sylvia Meagher. Penn Jones told The Texas Observer: "The combined work of Lane, Meagher, Salandria, Shirley Martin, Ray Marcus, Weisberg, and myself should be enough to warrant a new investigation. But I doubt that it will come before ten years." On 8th September, 1967, Shirley Martin's oldest daughter, Victoria, who had accompanied her mother to Dallas to interview witnesses, was with her friend Candy in a Volkswagen Beetle, that was "sideswiped" by another car. Candy died the next day but Victoria, who sustained twenty-four broken bones in the crash, lingered for four days before dying of her injuries. After the death of her daughter Shirley Martin gave up research into the assassination of John F. Kennedy. Ruth Paine later claimed that Shirley Martin believed that her daughter's accident was somehow connected to the assassination. Later, he son, Steven Martin, denied this: "My mom never felt that the death of my sister Vickie was part of the conspiracy. This erroneous piece of information originated with Ruth Paine. My mom never really cared for or trusted Ruth, and I think Ruth was aware of my mom’s feelings toward. Shirley did stop her active involvement in the case following my sister’s death, but it was a result of the natural and terrible grief a parent feels at the loss of child, not because she felt Vickie had been a victim of the conspiracy. My mother continued to study the assassination until her death. As I have mentioned to others, she never really cared who killed Kennedy; she cared who didn’t kill him. She believed, as I do, that Lee did not pull a trigger that day in November." Shirley Martin died in 2006. (1) James P. Hosty, report on his interview with Ruth Paine on her meeting with Shirley Martin on 29th February, 1964. Mrs. Martin stated she felt the evidence was not fully incriminating as far as Lee Harvey Oswald was concerned and she wanted to satisfy herself as to the facts. She indicated she had spent most of her time in Dallas retracing the route of Oswald following the shooting of President Kennedy and had timed the alleged escape route of Oswald following the shooting. Mrs. Martin stated she did not believe the gun photographed at the police department was the same gun which was being held by Oswald in a picture released to the press later. She referred to a photograph taken sometime prior to the assassination showing Oswald holding a rifle. Since the date of her contact with Mrs. Paine, Mrs. Martin has called on the telephone from her home in Hominy, Oklahoma, many times and has written almost daily letters to Mrs. Paine all along the same line, looking for inconsistencies in the case and seeking to find out why Oswald shot President Kennedy if such was the case. Shirlev Martin, accompanied by her children, interviewed Acquilla Clemons. Mrs. Martin was not at all confident that she would be granted the interview, so her daughter Vickie carried a tape recorder hidden in her purse. Vickie later transcribed the surreptitious recording of their conversation with Mrs. Clemons, and the tape was passed on to Mark Lane. As they prepared for the interview, the Martins did not yet know that, like Helen Markham, Acquilla Clemons had been visited by menacing authorities who advised her not to talk about what she had seen. Mrs. Clemons cared for an elderly man in an Oak Cliff home near 10th and Patton, where Tippit was shot to death. That is where she was when Shirley and Vickie knocked on the door and waited for her to open it. "Hello," said Shirley. "Are you Mrs. Clemons?" "You are? May I speak to you a moment?" "Yes, you can," Mrs. Clemons replied, and came out onto the front porch. Before they began a neighbor walked by. "Hello, Miss Jane!" Mrs. Clemons called out. The three of them settled into seats. "We'd like to talk to you about what you saw on Friday, November 22." "I can't," Mrs. Clemons said. "It's been too long." "It's been too long, I can't remember." "Oh," Shirley replied. "Well, some friends of ours said they talked to you about it, oh, about three weeks ago." "Sure," Mrs. Clemons said, adding that it seemed longer than three weeks to her - perhaps a couple of months. "Well," Shirley went on, "has anyone talked to you and told you not to talk to anyone?" "Is that the Dallas police?" "Well, I'm a private citizen," Shirley said. "I'm not representing any group." To explain Vickie's sitting close by, she added, "My daughter is trying to write a... children's book." "They don't allow me to say anything," Mrs. Clemons said. "I'm not allowed to say anything." "Who's that? You mean the Dallas police?" "Some of them," Mrs. Clemons replied. "I don't know. I don't know one of them from the other." She said again that she did not know who the men were who told her not to talk, and added that her employer also did not want her involved in the case in any way. Undaunted, Shirley continued. "This friend of mine was here ... I don't know if you remember. Mr. Nash? Mr. Salandria? They talked to you?" "Someone came by my house about two months ago," Mrs. Clemons recalled, adding that they had promised to send her a picture of Lee Oswald, but never did. They began talking about what she had seen - two men in the vicinity of the Tippit shooting, after the shots were fired. The Warren Commission was soon to report that other than the known witnesses, there had been just one in the area - Lee Harvey Oswald. "There was supposed to be two men, weren't there?" "Well, it was two men. I don't know, I wouldn't know them if I was to see them." "No, of course not," Shirley said. "I wouldn't expect you to do that. They were both on the same corner?" Again, Mrs. Clemons would not commit herself. One man, she said, seemed to be talking to a second man, who was tall and wore yellow khaki pants and a white shirt. This tall man was on the other side of the street from the first man. But she didn't know if they were together, and she didn't know how the first man was dressed. He was the one with the gun, and Mrs. Clemons had been trying to hide from him. Shirley continued: "And Mrs. Markham was coming down this way, wasn't she?" "She lives up on the corner up here." "Well," Mrs. Clemons said, "me and her.... I guess she was the same lady that was telling me that the police shoot - boy shoot the police. I had to come back in the house. I don't know. Been too long." Shirley asked Mrs. Clemons to describe the man with the gun: "Was he a short, kind of heavy-set man?" "Yes, he was short. Heavy." "He was kind of heavy?" "Yeah, he was kind of stocky-built," Mrs. Clemons replied. "Stocky-build. Whatever you call it." She didn't notice what his hair was like, nor did she recall his saving anything, because she was hurrying to get out of the man's sight. "I didn't want him to be shooting me." It wasn't long after the shooting, Mrs. Clemons recalled to Shirlcy, that the street began filling with people - some from the neighborhood, and soon, more police. "There was so many policemen you couldn't walk out there. But I don't know. I don't know." There were some things Mrs. Clemons had seen but was unable to explain, like the unidentified woman who drove up in a bit, fancy car soon after Tippit was shot. "She stayed there until everything was cleared. I don't know who she was." "Yes, it was nice." Mrs. Clemons continued: "I don't know who she was. After they cleared everything, she went on. I don't know who she was." Then Shirley asked about the shooting itself. "You heard three shots?" "Yes, I heard three shots. I thought it was firecrackers. I wasn't paying anv attention." "And you think the policeman died right away?" "He did," Mrs. Clemons answered. "He died before I got there." Mrs. Clemons acknowledged having known Officer Tippit by sight, saving he was "a pretty nice guy." Then she reiterated that while the killer was "kind of heavy," she really couldn't describe him beyond that, because she had been trying to get out of the way. "I'm just not allowed to tell you. I can't tell you nothing. I don't know nothing." "And have you been to the Warren Commission?" Shirley asked. "In Washington." "No" Shirley repeated. "Did they come and take a statement from you or anything?" "No," Mrs. Clemons said, saying again that her employer did not want her involved. Some, like New York author Sylvia Meagher or Marjorie Deschamps, a west coast housewife, scholars of the Warren Report and 26 volumes, can quote chapter and verse on almost any facet of the case. Mrs. Meagher, finding the Commission's index next to useless, prepared and published her own. Mrs. Deschamps put together a hundred giant "panoplies" - photostats of collectged evidence - on different facets of the case. The "sleuth" ranks include salesman Ray Marcus; David Lifton, a master's candidate in engineering; and housewife Elizabeth Stoneborough - all serious students of the photographic evidence relating to the assassination. Paul Hoch dug into the National Archives for hidden documents. Philadelphia lawyer Vincent Salandria did pioneer research on the ballistics and autopsy evidence; writer Harold Feldman on the direction of shots. Add to them the book-writers - Mark Lane, the most persistence public gadfly of the Warren Commission; Harold Weisberg, a Maryland gentleman farmer; and Leo Sauvage, the conservative US correspondent for Le Figaro - and you have an awesome army of private citizens who are saying more or less explicitly: "The government lied to us about the Kennedy assassination." Few of the sleuths are paid for their efforts, or reimbursed for long-distance phone calls, travel and research materials. Motivated by anything from an affection for President Kennedy to a plain zeal for truth, affiliated only in the most informal way, they are the embodiment of what is finest in the American tradition, and a living indictment of government-by-closed-shop. At first we (at Ramparts) refused to take the sleuths seriously. Everyone secretly wants to be a detective. Here was the "crime of the century," apparently unsolved, with a mountain of poorly evaluated evidence at the disposal of anyone willing to shell out 76 bills. To the private sleuths it was irresistible; to us it was something of a joke. Then we reviewed their work and realized that they were doing the job the Dallas police, the FBI and the Warren Commission should have done in the first place. And if many will treat these amateur investigators as some unique breed of kook, the Dallas police take them seriously. When Shirley Martin, a housewife from Hominy, Oklahoma, made trips to Dallas to interview witnesses, the police would tail her, openly following her car at short distance, and stay in her shadow until she left town. The FBI takes one of the "sleuths" seriously enough to tap his phone. Two San Francisco sleuths report that even their mail is habitually opened before it reaches their door. Such intimidation has become so common that the sleuths hardly talk about it any more. My mom never felt that the death of my sister Vickie was part of the conspiracy. This erroneous piece of information originated with Ruth Paine. My mom never really cared for or trusted Ruth, and I think Ruth was aware of my mom’s feelings toward. Shirley did stop her active involvement in the case following my sister’s death, but it was a result of the natural and terrible grief a parent feels at the loss of child, not because she felt Vickie had been a victim of the conspiracy. My mother continued to study the assassination until her death. As I have mentioned to others, she never really cared who killed Kennedy; she cared who didn’t kill him. She believed, as I do, that Lee did not pull a trigger that day in November.